Hi there, everyone! Fall has arrived bringing cooler temperatures and lots of rain here at the Crossroads. 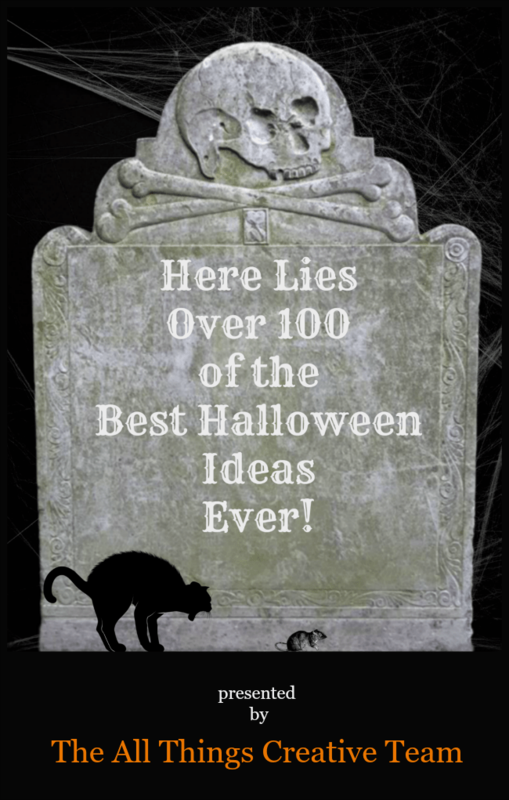 And it’s that time of month when the All Things Creative Team brings you their best ideas centered around a topic, and this month it’s Halloween Ideas! Now, I’ll have to admit that I don’t have too many posts about scary stuff, but I do like to decorate with a little whimsy this time of year. 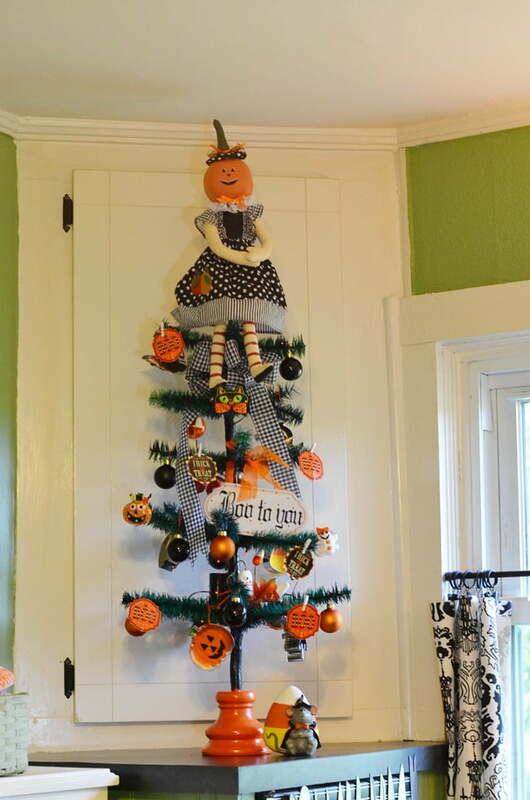 I’m linking up my little Halloween Tree that I just put in our kitchen in case you missed it. 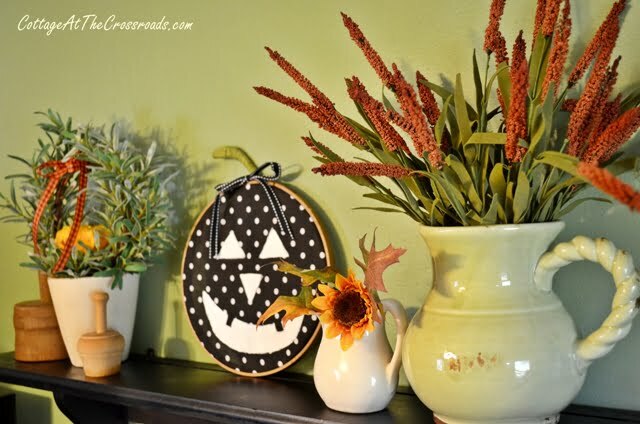 One year I decorated the kitchen with these painted jack-o’-lanterns that I put in embroidery hoops. That was a quick and easy project that I’ve included. And speaking of Jack-O’-Lanterns, who could forget these topsy turvy ones that we made last year? You’ll find all of those ideas along with many, many more from the whole team. Hope you have a chance to visit everyone this month because these ladies are some of the most talented ladies I know! 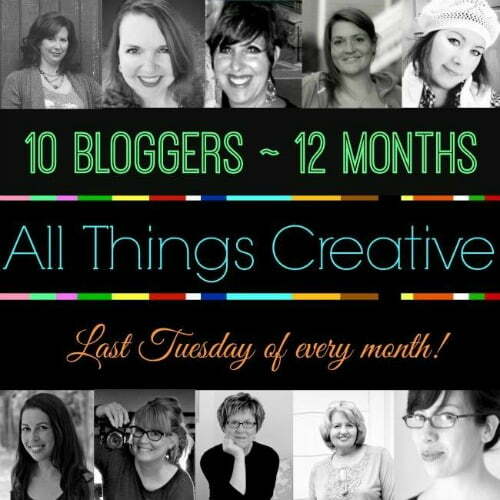 And if you’d like to see the roundups from previous months and years, you can follow the All Things Creative board on Pinterest. Fun Jane! 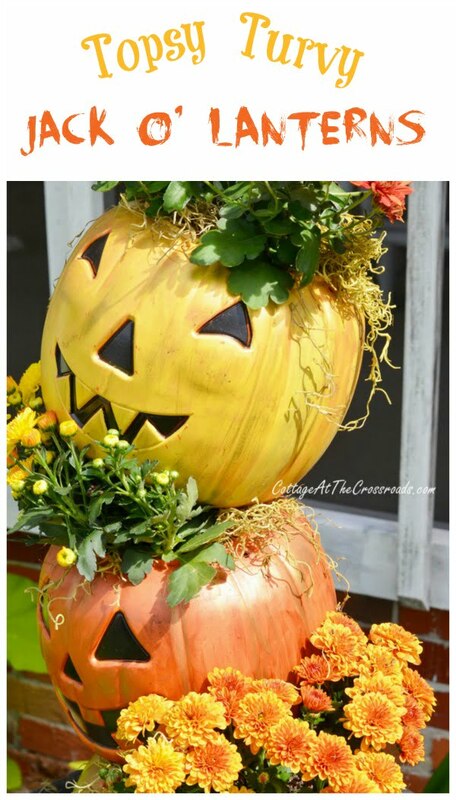 I love your Halloween tree and your pumpkin stack especially!